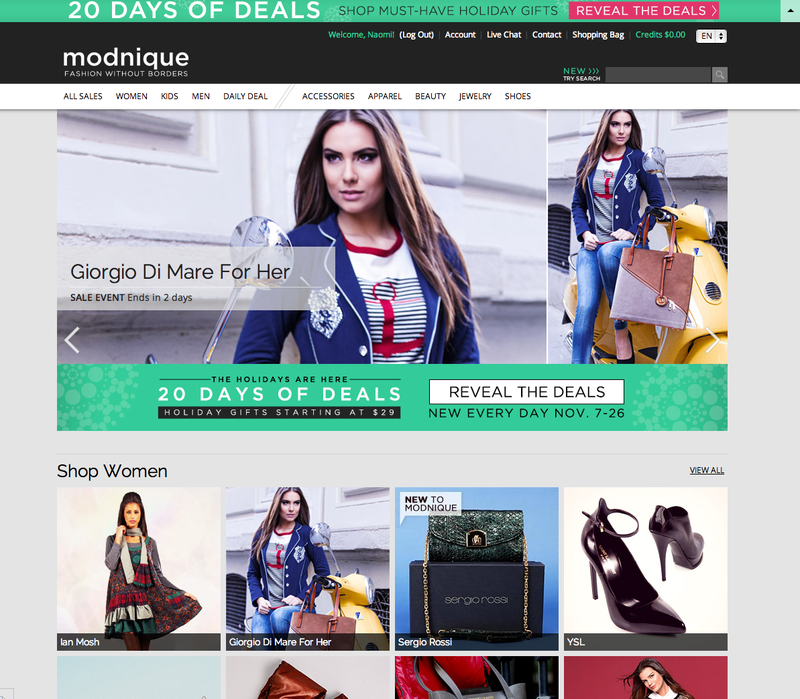 Modnique is a flash shopping fashion site like no other I've come across. It features items for men, women and children across a wide range of styles, with new items daily and prices up to 85% off. While most flash sites cater either to high end brands, indie designers OR bargain basement prices, Modnique gives you a true variety to choose from. Their wares are sourced from top brands you've only read about in magazines, tried-and-true favorites, as well as international design houses that may be less familiar to US consumers. Plus, shipping is always free on orders over $99. I was really impressed when I first checked out the site– there were beautiful things for $30 and $3000, all at a hefty discount from their original suggested retail prices. Some of the brands that caught my eye: Gucci, Prada, Chloe, Kate Spade, Jimmy Choo, Marc Jacobs, Be&D, Dolce & Gabbana, Tory Burch… and much more. Check out these amazing Celine rabbit fur booties, on sale for $259, marked down from $1099! The one thing about Modnique is that their vast offerings can be a little daunting. There is so much to choose from! 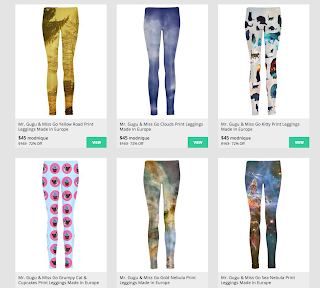 I had a gift code to use so I could try out the site and it was hard to narrow down my selections. 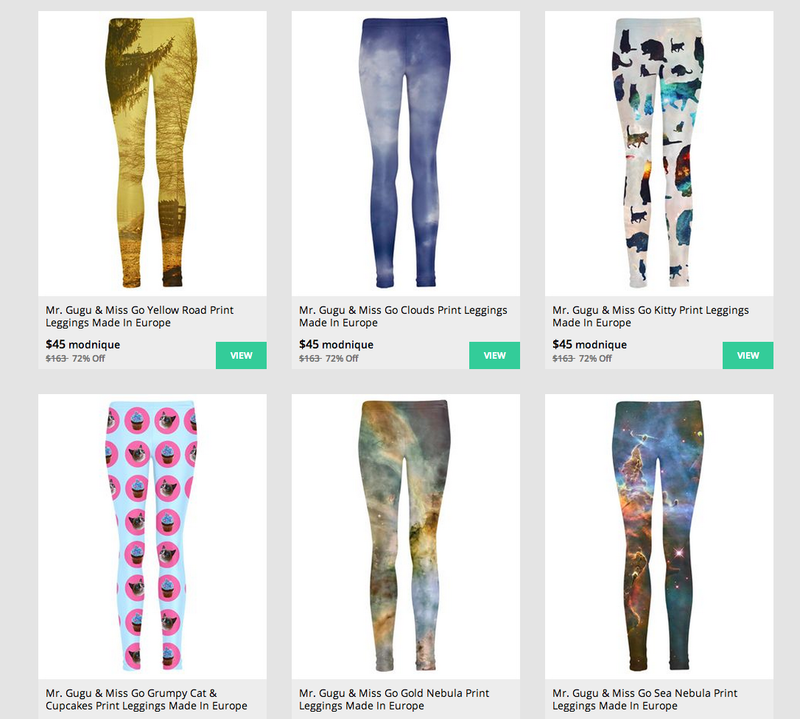 I had a serious desire to get some funky leggings from the Mr. GUGU & Miss GO collection. I was waffling between the galaxy cat print in the top right and the grumpy cat/cupcake print in the bottom left. Alas, I chickened out. I may or may not be too old for that kind of thing. Modnique has a great feature for holiday shoppers. 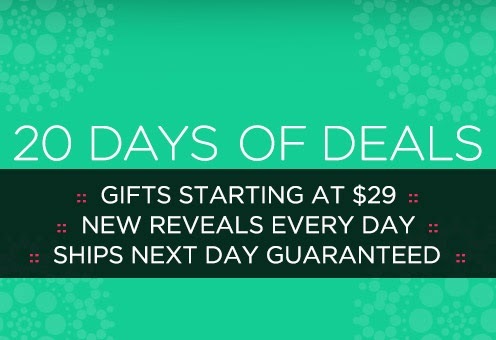 Their 20 Days of Deals campaign started on November 7th and offers great new gift-giving ideas every day at 6am PST. 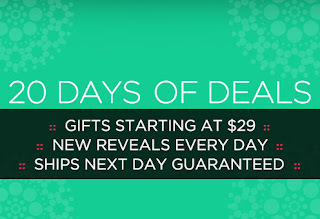 The deals are really stellar (iPad Minis for $99, anyone?) but they don't last long! You'll want to log in ASAP to check them out. You can also follow the Modnique blog or Facebook to make sure you're in the loop. After trolling Modnique for several days, I discovered a new awesome French brand, Kokomarina, and finally decided on what my inaugural purchase should be. I came across a Desigual dress that I'd been DYING to buy last summer but just never got around to. Possibly because it was nearly $200. I believe it was from their line that was designed by Christian Lacroix and has kind of an African feel to it, with a shell beaded bodice. Anyway, I totally regretted not buying it when I had the chance and lo and behold, it appeared on Modnique, for only $69! Oh, yeah! I also ordered a stripey tshirt dress from Custo Barcelona that I think will be perfect with tights and sweaters this season. Have you tried Modnique yet? What do you think? In accordance to the FTC Guidelines and the WOMMA Code of Ethics, I am disclosing that I received a gift card to facilitate this review as part of a Splash Creative Media campaign. No compensation was provided. All opinions are, as usual, entirely my own.